Save on the items you need to get the cleaning job done better! 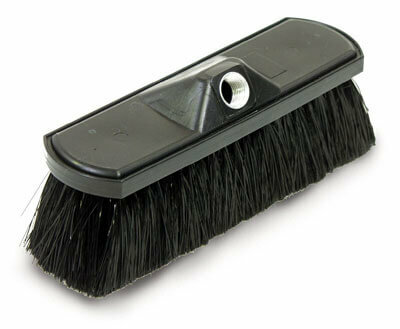 With the large variety of our pressure washer brushes, you can add scrubbing power to your pressure washing spray. These quality accessories will easily clean cars, trucks, aircraft, tiles, decks and other surfaces. They have been designed to be totally safe and comfortable in use. 12" diameter spinning soft pressure washer brush saves time and soap removing road film and dirt. Feathered PVC bristles are safe to use on any surface. Rated for use on any machine up to 2,000 PSI and 140 degrees. Will even rotate under garden hose pressure. Operates under low pressure enabling use of soap injector. Big 15" cleaning tool saves time and soap removing road film and dirt. Feathered PVC bristles are safe to use on any surface. Operates on any machine producing 4.0 GPM. This pressure washer accessory operates on any machine producing up to 3,000 PSI and 140 degrees. Features strong Lexan construction with a twist fast connector to adapt to end of wand. Operates under low pressure enabling the use of the low pressure soap injector. 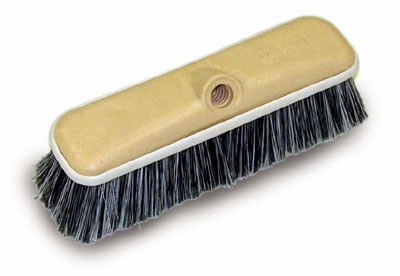 Bristle Area Dimensions: 6.5" x 2.5" x 2.25"
Extension for use with pressure washer brushes only. Adapts to brushes by taking the twist fast adapter off brush, screwing extension on to it, then screwing twist fast adapter to end of extension. 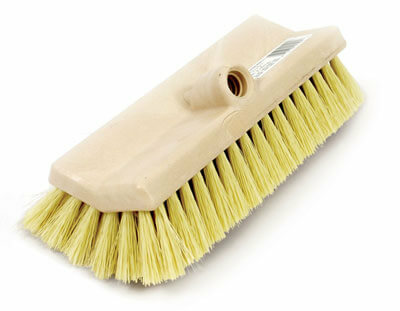 3" x 10" Super soft flagged bristle fountain brush. Used with lance below, sold separately. 40" long with 30" insulated grip, 3/8" FPT inlet, 1/2" MPT outlet (Matches brush inlet). 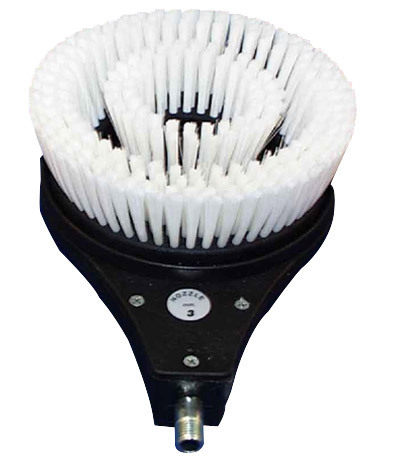 Unique heavy duty scrub brush with multi-level/angle.